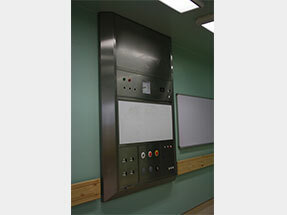 The HU12-NS-RS is a recess mounted nurse panel solution used to provide remote indication when confirming critical Supply Services. 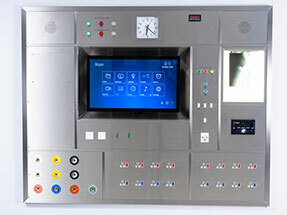 The HU12-MAJ and the HU12-MIN-RS are recessed mounted theatre control panel solutions used within operating theatres. 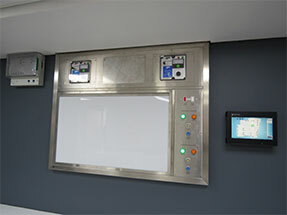 The HU12-MAJ-S and HU12-MIN-S are surface mounted theatre control panels solutions utilized within the operating theatre environment. 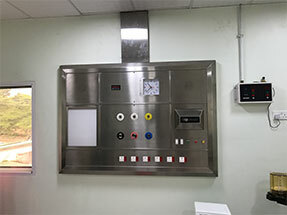 The HU12-MAJ-SR and HU12-MIN-SR is a semi-recessed mounted theatre control panel solution utilized on a single brick wall.